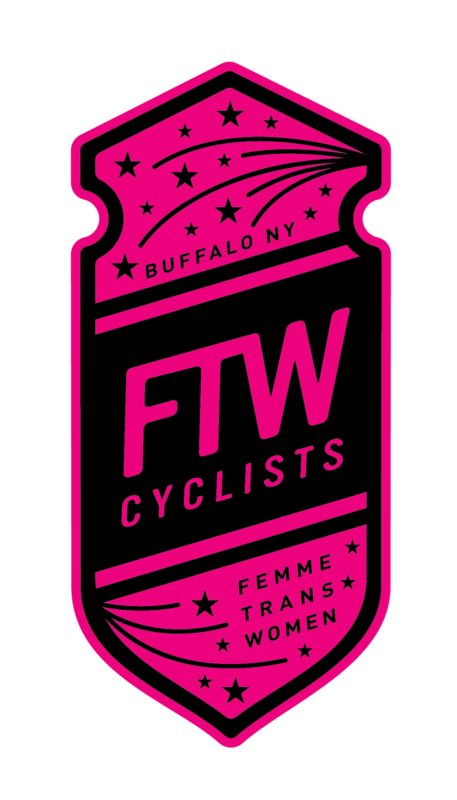 FTW Cyclists of WNY is a Buffalo based cycling community created by Jenn Kowalik. Cindy Wood and various wonderful women at Campus WheelWorks help make this community thrive. We have a simple goal, get more womxn riding bikes! We strive to empower womxn and make them feel more comfortable and confident with their bicycles. There is a great sense of independence and strength that life on a bike can provide, and that is a feeling that everyone should be familiar with. FTW Cyclists Buffalo hosts no-drop group bike rides as well as various informational and hands on clinics. We've organized clinics on fixing flat tires, basic maintenance, shifting gears 101, and cycling nutrition. 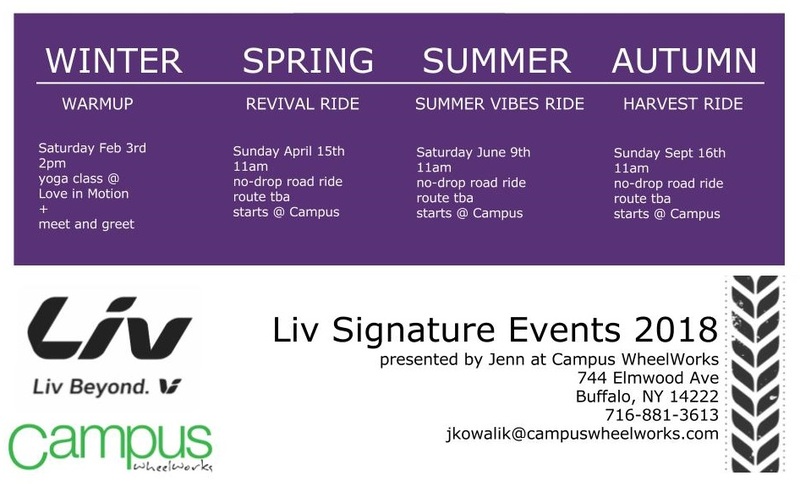 In 2018 Jenn has earned herself the role of brand ambassador for Liv Cycling. With their support she is able to make the FTW events bigger and better! Who is Jenn?? Jenn is the buyer and inventory manager at Campus WheelWorks. She learned how to ride a bike at the ripe age of 23. Jenn didn't have a lot of money growing up, and she never really had the opportunity to ride bikes when she was younger. Jenn finally bought herself a bicycle for her 23rd birthday. Shortly after, she was commuting by bike to school and work. This carried over to a short stint in Brooklyn where she also commuted by bike. After working in the salon industry for a little while, Jenn decided it wasn't for her and immersed herself fully into the bicycle industry. Before working at Campus, she exclusively rode single speed coaster brake bikes. She has since sold them, and embraced bikes with hand brakes. She even has bikes with gears now, too! Working at Campus has opened up an amazing world to her with a wonderful sense of freedom that she wishes to share with as many womxn as possible.